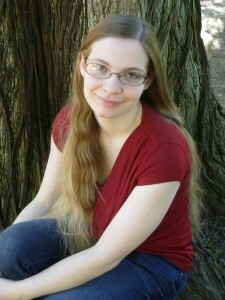 I recently interviewed Brenda Corey Dunne about her newest book, Dependent. This was a big summer for Brenda and her family as they sold and bought houses, renovated the new one, and moved the whole family–horses and all–across Canada to her husband’s new military posting. 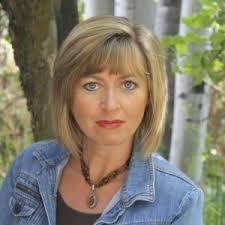 Somehow between the move, the new book launch, and discovering where to buy groceries and back to school clothes, Brenda found the time to answer a few of my questions. In Dependent Ellen makes many sacrifices for her family and husband. Do you think that’s typical of all women or something special about Ellen? That’s a tricky question to answer! I’m not a fan of the ‘the woman’s place is in the home’ stereotype. Women should be able to do whatever they want. This is the 21st Century for goodness sake! And so many husbands make sacrifices for their wives careers. But I DO believe women take on the nurturing role more often than men. And I live in a world of military relationships. It takes only quick mental review of all of my friends to realize that almost all of my married female friends and closer acquaintances have sacrificed for their husbands in some way. They’ve given up good paying jobs to follow their spouses. Most of them have had to start at the very beginning at least once in their careers. They’ve moved thousands of miles away from family and friends. They’ve scrubbed and staged houses over and over again for a quick sale. They’ve smiled bravely as their husband shouldered his bag and walked away for another deployment. And they’ve done it willingly. Dependent exposes some of the unique challenges military families face. How can non-military families reach out and support military families more? Another tricky question. Military families are often strong and proud. They don’t want charity and they don’t want pity. And they won’t ask for help because that would be considered weakness…so they suffer in silence. I think the best way to support them is to put yourself in their shoes. Imagine you are a thousand miles away from home, your house is full of boxes, you have two toddlers and are pregnant with the third, and your hubby has just left for a two month ‘refresher’ course in a different state. What would you like most? A friendly smile. A cup of coffee. Help getting the trash to the curb on the right day. Knowledge of where the local library is. Hot brownies. Someone to talk to while your kids play at the park. A line on a good daycare in town. Really, the best way to help a military family is to extend the hand of friendship. I have made so many wonderful friends over my 25 years associated with the military. Some came and went, but most will always have a place in my heart. Those friendships have sometimes been my lifeline—the only thing that helped me cope when things went downhill. That kind of support is the priceless. Without giving too much away, how do you imagine Ellen’s life now? 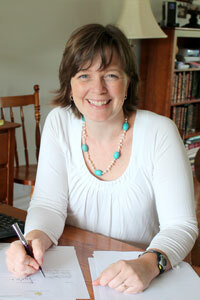 I think Ellen is realizing that university is a lot different at 46 than it is at 19! I think she’s dealing with different issues, still trying to figure out how everything works in her new life. Not sure I can give you much more than that! Thanks, Brenda for stopping by. Click here to see my review of Dependent. Dependent by Brenda Corey Dunn is published by Jolly Fish Press and is available as a trade paperback or eBook from Amazon, Barnes & Noble, and other purveyors of fine books. 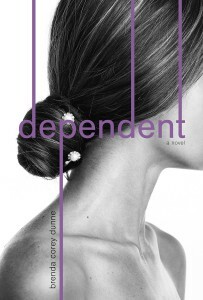 Dependent, the stunning new novel by Brenda Corey Dunne, is an unusual coming of age story about a forty-five year old woman finding herself after making hard choices at nineteen that set the course of her life. Ellen Michaels has been an officer’s wife for twenty-five years. Living in the military’s shadow, all of Ellen’s decisions have been influenced by her husband John’s career—where she lives, what she does, and who her friends are—as well as the choices she makes to protect her family. Lumped in with John’s worldly goods as “dependents, furniture, and effects,” it’s profoundly shocking for Ellen to discover that with John’s death her future is her own again. Much of Dependent is told in flashback, and we see Ellen grow from a young teen to a mature woman. We see the struggles every young mother faces and typical challenges even the best marriages go through. 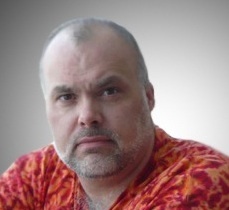 With John’s death we see the devastating effect of losing a partner and father. But Ellen also has a terrible secret she’s kept for twenty-five years, and she fears this secret is what killed her husband. Told from an insider’s perspective, everything from early marriages, frequent moves, and long absences to the culture of rank and stiff upper lip is vividly portrayed. It’s these military culture conventions—and the idea that everything is happy, happy, happy!—that keep Ellen prisoner until she finally realizes that she independent and powerful. And when she does you’re going to want to stand up and cheer. But I’m not going to spoil it! Dependent by Brenda Corey Dunn is published by Jolly Fish Press and is available as a trade paperback or eBook from Amazon, Barnes & Noble, and other purveyors of fine books. Someone was pound, pound, pounding on the side door. The vicious tiny attack poodles at my feet each peeked one eye open and went back to sleep. Wow, I thought. This must really be important! I quickly hit save, then back-up, then compile, then save again on my manuscript before dashing madly to the door. A gas leak? A house on fire? Girl Scouts with cookies to sell? 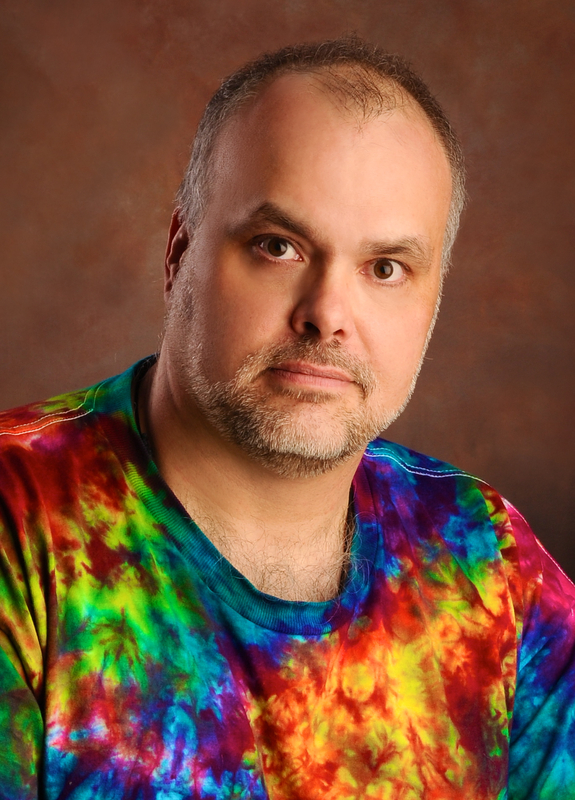 I flung open the door ready for anything except a wall of raging tie-dye waving a summons in my face. “You’re taking me to court? !” the mountain thundered. “Court! Over some dry-cleaning and an ER bill.” Johnny Worthen, author extraordinaire of Beatrysel and Eleanor, the Unseen was huffing and puffing like the Big Bad Wolf in acid-laced Technicolor. “When my lawyer Sammy ‘Light Finger’ Calzone gets through with you, you won’t have a coconut to crack!” Johnny snarled. Like water on the Wicked Witch, Johnny melted. “You did?” he breathed. On the back deck I cracked open a couple of Diet Cokes and poured them over ice. “What? No bourbon?” Johnny sulked. The power of metaphor, the energy of symbol, and a web of imagination. I wanted to embody the idea of potential radical change, put it within the most vulnerable creature I could imagine and make it all believable. Eleanor, The Unseen, is a paranormal story, which suggests that something ain’t right in it, but I wanted that something to be natural as opposed to supernatural. I based it on legends for historical grounding. 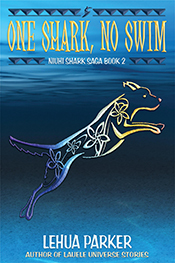 Every culture I know has some kind of folktale about a shapeshifter, be it the werewolves of Transylvania, the Skinwalkers of the Navajo, or the Nimirika among the Shoshone. I approached that paranormal element within Eleanor from the idea that all these stories were right but wrong at the same time. These ancient peoples all witnessed the same thing, event, creature, what have you, but they didn’t understand it. Their descriptions are full of fear and superstition and prejudice (a theme in the series) but what they have in common, a brush with something unusual, marvelous and scary, was right on point. There is a predator in their midst. The suggestion becomes then that the paranormal element in the story is old and familiar to mankind, but forgotten and dismissed because it is so rare and unstudied. I wanted the miracle to be metaphor and symbol, a complication and not the story itself. The story is Eleanor, her tale, her trials as the ultimate outsider hiding in plain sight. She is a soup of contradictions, lost but found, loved but lonely, malleable but fixed, struggling with who she is, what she might be, and afraid of her own powers in the face of tragedy and hope. To compound the metaphor, it’s placed at that time of life when young people become young adults and grow into what they are to be, those awkward socializing high school days. Eleanor is an exaggeration of the growing up, trying to fit in while being different. Finally, keeping with the theme of change, I needed Eleanor’s to hurt. Change is painful and her wonderful “gift” has costs — terrible, painful, frightening costs. It’s not easy. It is not quick. She becomes helpless. And she is a slave to it. Thus is change. Change is not easy. Also, I think this simple symmetry of cost and benefit help to sell the concept and make it easier for the reader to suspend their disbelief and concentrate on the story. While Eleanor prefers to hide rather than fight, she will when her back’s against a wall. Do you think most bullied people are that way? Is there a snapping point? Bullying is a social interaction that extends far beyond the microcosmic high school experience. It’s a hierarchical thing, alpha males and females rising to the top of the herd by beating others down. I see it as a symptom of insecure people trying to gain some control over their lives. It’s hard to pity them, but in the wide shots, you can and I try to. The idea of fighting back is a tricky one for Eleanor. Her snapping point has less to do with what her bullies are doing to her than it does with her change of perception of her own worth and her future. She admits to herself that she’s becoming reckless, fighting back when she’d always retreated before because at that point in the book, she has something to fight back for. She has hope. Most people would snap after a long history of abuse, a final straw thing, but for Eleanor it’s an awakening inside her, a new idea of self-worth brought on by the simple affection of a single friend. When survival is no longer enough, the timid become bold. There’s a whole cannon of literary work about young girls transitioning from victim to victor, everything from Stephen King’s Carrie to Alice Walker’s The Color Purple to Jerry Spinelli’s Stargirl. How does Eleanor add to the empowerment conversation? There is a lot of Carrie in Eleanor, I admit that. The similarities struck me as I wrote my book, but there are important and fundamental differences between King’s story and mine: his is horror. Mine is a fable. I don’t think Eleanor is a victor over her bullies. They are trials that shape her, complications that vex her, metaphor for an intolerant society but they are just some among the many troubles Eleanor faces. Because Eleanor has lived in fear her entire life and was forced to hide, she is fearful and passive. She reacts as a frightened animal might. Her achievements then, not to give too much away, are to take control of her life and become an active player in its events. It’s the difference between being a scavenger and a hunter. 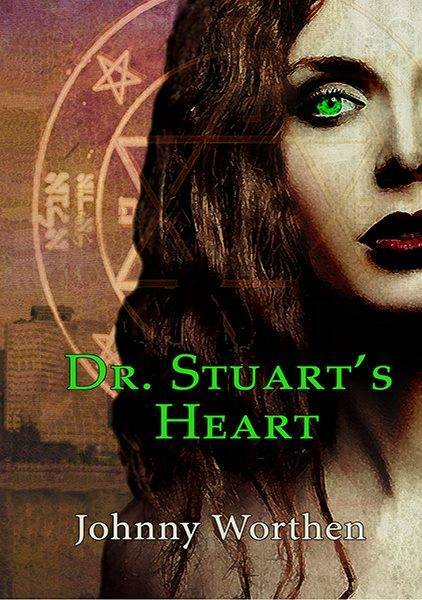 It is a complicated dynamic, the bullies and Eleanor, and not to give too big a tease, but it is explored in depth, passionately and lovingly, over the length of the series. While many readers will focus on the developing love story between Eleanor and David, the love story that caught my heart was the relationship between Eleanor and her mother, Tabitha. Tell me about how this theme came about. Yes. Absolutely. 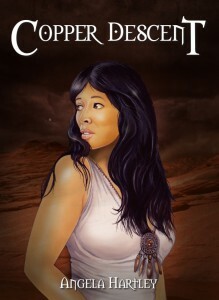 The original title for the book was not Eleanor, but Tabitha. The series was to be called Eleanor, but editors and publishers wanted Eleanor so Tabitha, Eleanor Book 1, become Eleanor, The Unseen Book 1. Whatcha’ gunna to do? But so central was Tabitha to the book that she was in fact meant to be the title character. The relationship between Eleanor and Tabitha is central to the book: two women, vulnerable and alone, broken and lost coming together, saving each other. It is a powerful symbol of love and acceptance, joy without conditions. The best of humanity – a mother’s love. It is healing among death, growth during decay, the future from the past. Tabitha is the teacher and Eleanor the student and what is taught is the best our species has to offer. I channeled my own grandmother into Tabitha, and other friends and family. I took from them the best I’ve seen in people facing the worst; the nobility and affection, strength during weakness, joy during pain. Tabitha’s very personal to me. Give me the links so readers can find you. Any upcoming events? Just in case I need to serve you new papers. Upcoming events? Serving papers? Well, uhm, I’ll be at the “Process Server Lynching” on the 19th and the “Frivolous Lawsuit Retribution Society” meeting, gun sale and barbeque on the 5th. Don’t forget the “How to Poison Your Neighbors” workshop on the 8th. I’ll be presenting. Otherwise check out my events page. And make sure you come out to the Eleanor, The Unseen Book Launch on the 28th of June at Barnes & Noble in Sugarhouse. 12:00-3:00. You could argue that all teenage girls are self-centered survivalist monsters at heart, at times unlovable, wholly malleable, and subject to the whims of the adults around them. But in Eleanor’s case these typical teen traits are a little more literal. Eleanor the Unseen is the first in a trilogy by Johnny Worthen that explores love in many forms: redemptive, passionate, maternal, transformative, first, true, self, and sacrificial. It’s a theme repeated in metaphor and action both gentle and terrifying. Johnny has a knack for drawing the reader into his world like a warm bath. Just don’t get too comfortable. And for heaven’s sake, don’t close your eyes. 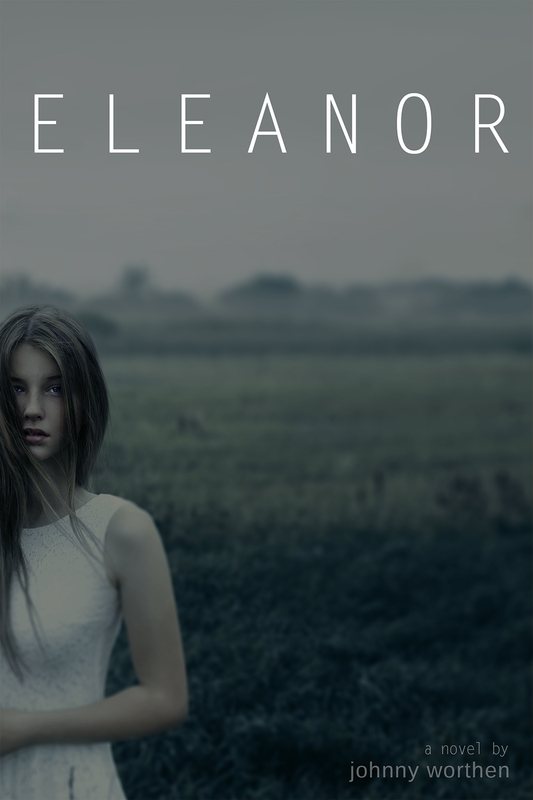 On the surface, Eleanor is a YA horror novel about a monster that flies under the radar masquerading as a shy Wyoming teen growing up in a small town on the edge of an Indian reservation. The town itself is a character with all its stifling contradictions playing a part in Eleanor’s decisions as the plot progresses. David, a military kid, was Eleanor’s best childhood friend who knew all her secrets and her heart—until he moved. In their sophomore year, David returns, and Eleanor can no longer hide behind her hair. Despite its premise, Eleanor is a literary work that builds gradually. It echoes other great works including Grendel, I Heard the Owl Call My Name, and even To Kill a Mockingbird. But don’t let that fool you. There are some horrific scenes in the story that showcase how very alien—and therefore human—the monster is. But rawer than the monster’s survivalist thoughts and actions is Tabitha’s debilitating cancer. Tabitha, Eleanor’s foster mother, races against time to prepare her daughter for life without her. At the heart of the book is their symbiotic redemptive love, a love so strong that it has the power to work miracles. But don’t forget. Eleanor the Unseen is a horror story, too. For me, the most realized characters in the story were Eleanor and Tabitha, which sometimes made other key characters like David seem a little underdeveloped in comparison. I also felt that the ending was rushed given the previous pace of the book, but I think I understand why: Johnny wants to hurry the reader past the clearing of the first course to the next tasty morsel in a lazy Sunday brunch. I spent a morning reading Eleanor in one delicious gulp; yes, it’s that good. Eleanor the Unseen by Johnny Worthen is published by Jolly Fish Press and is available for pre-order from Amazon, Barnes & Noble, and wherever fine books are sold. Eleanor‘s publication date is July 1, 2014. You know when you read a book about teens and you think the author just didn’t get it? Well, F.J.R. Titchenell gets video gaming, paintballing, Vespa riding, teenage tomboy angst, true love, the uses of theater paint—oh, and killing zombies. 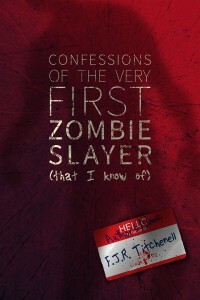 Confessions of The Very First Zombie Slayer (That I Know Of) is awesome like that. The story is told in a flashback diary format, a record written by teenage Cassie Fremont for future generations about the first week the dead came back to life. It’s the story of being at ground zero when she accidentally kills her crush with a sawed-off paintball gun’s pellet to the temple. Unable to spare a moment to wrap her mind around it, Cassie has to leap into action when Mark snaps back to life as one of the world’s first zombies. An escape from jail—suprbat and psycho-bunny backpack filled with fireworks in tow—she begins a fantastic cross-country journey to reunite twin sisters. Cassie is not about to wait to be rescued. She embodies what every teenage girl who would rather hang with the boys aspires to—wit and a can-do-buck-up-little-camper attitude. She calls herself a listener, but in reality she leads through example and rock-steady nerves. Cassie’s bravery is in doing what she has to in the moment. She’ll think about it later. I’m going out on a limb here to say that this YA novel is less about a zombie apocalypse and more about finding yourself, learning to see what’s right in front of you, grabbing life with both hands, and living in the moment. It’s a love story about two people who would never have seen the rightness of each other until life stripped away everything unimportant. Yes, the zombies are there in all their classic want-brains-quick-hit-‘em-with-a-headshot glory, but they serve as a catalyst and an inconvenience, a way for Cassie to show-off her bad self. Titchenell’s touch is refreshingly soft. She trusts her reader to understand her characters through their quirks and reactions to situations rather than relying on a ton of exposition and backstory. Confessions is a tale that can be read on many levels, and I love meta-fiction like this. While the narration is mostly straightforward, the situations are hilarious and dark. Cassie’s first time driving a car is epic in both scope and tragedy, but she brushes it off with her trademarked that sucked, what’s next aplomb. There are many moments like this that hint at a much larger story unraveling in the background. Confessions of The Very First Zombie Slayer (That I Know Of) by F.J.R. 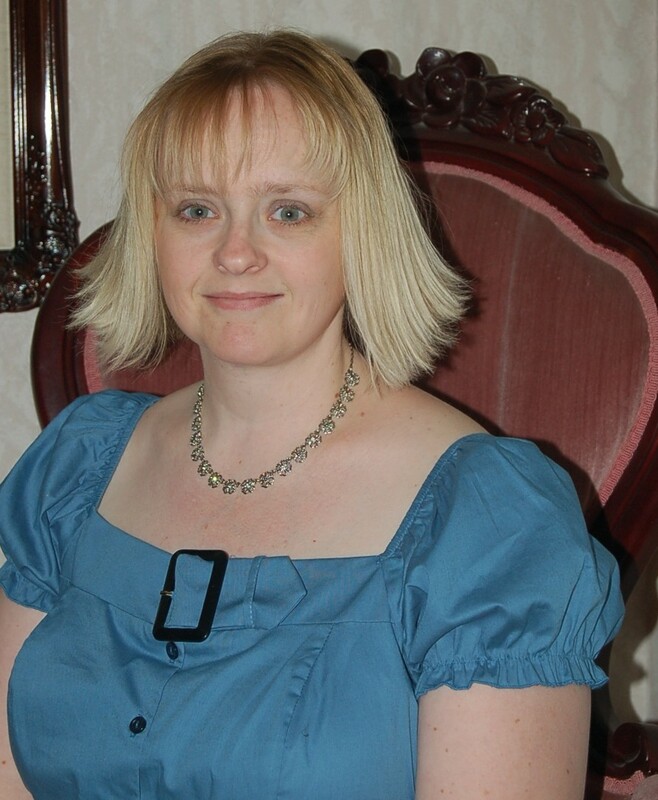 Titchenell is published by Jolly Fish Press and is available in paperback and eBook formats from Amazon, Barnes & Noble, and other retail outlets. Don’t miss this one. 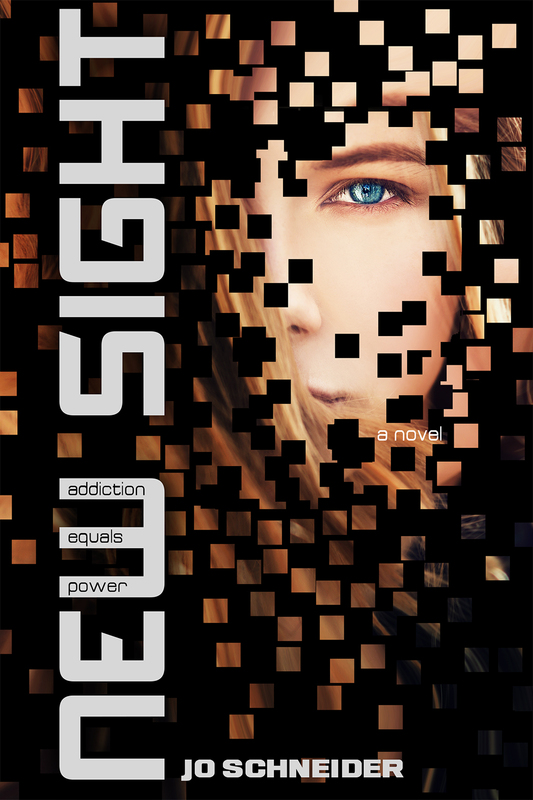 Jo Ann Schneider’s debut novel New Sight, is a little hard to pin down. 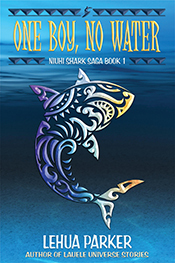 Not knowing much about it when I began it, after the first few chapters I thought, “Ah-ha! Sci-fi!” and settled down for thriller about futuristic drugs and big brother. 16 year old Lys Blake has an uncontrollable urge to rip people’s eyes out and a new club drug is suspected. Cool. After a strong start, the plot turns and I found myself reading a lot of exposition about magical powers, technology, and cartels out to suppresses and control ancient gifts relating to sight, sound, taste, touch, and smell. When it comes to literature, I’m more of a right-brained reader and New Sight is definitely a left-brained read. For me, sometimes the action gets bogged down in making sure the reader understands all the nuances of the magic system and the larger issues at play. The story is compelling, but I found myself skimming to get to the good parts. Having said that, you should know that I’m the kind of person who ignores the directions and jumps in. More thoughtful, methodical thinkers who want to see how the trap is being set—left-brained readers—will thoroughly enjoy New Sight and look forward to the next book in the series. And now that I’ve got all the details down, I will, too! New Sight by Jo Ann Schneider is published by Jolly Fish Press and is available from Amazon and Barnes & Noble in paperback and eBook. From the popularity of movies like Fatal Attraction to the TLC reality series My Strange Addiction, it’s no surprise that we’re fascinated by the extreme forms love, hate, desire, fear, and need take. 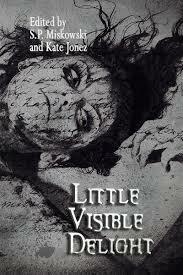 Little Visible Delight is an anthology of darkly twisted obsession tales written by eleven talented novelists from the Omnium Gatherum Media stable. 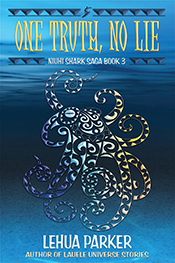 Like most anthologies, the stories are varied in tone, pacing, and style. A couple of them stand out for their literary echos: A Thousand Stitches by Kate Jonez and The Point by Johnny Worthen. I particularly enjoyed these two for the thought-provoking themes that stayed with me long after I’d read them. The one that still keeps me up all night is JP by Brent Michael Kelly. You’ll never look at people who carry little dogs everywhere the same way again. The most difficult for me to relate to was An Unattributed Lyric, In Blood, On a Bathroom Wall by Ennis Drake. The story form is on the experimental side, and it explores the futility of trying to capture the human experience in literature. Perhaps it hits a little too close to home. A special bonus and one of my favorite things about this analogy are the authors’ notes at end of each story that explain their inspiration and how particular themes continually reoccur—obsess them, really—as writers. Perfect for late night reading, Little Visible Delight is sure to take the reader on paths seldom traveled. Flashlight under the covers recommended. Little Visible Delight is published by Omnium Gatherum Media and is available in paperback and eBook from Amazon and Barnes & Noble.